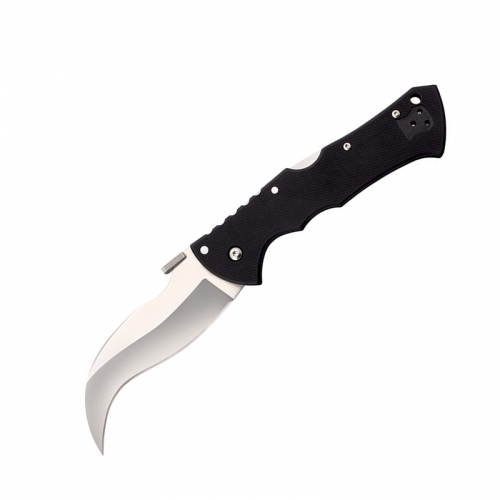 This Willumsen® Urban Tactical Blondie™ folding knife has been hand-crafted with scrupulous details offering an exact representation of a Willumsen custom knife. 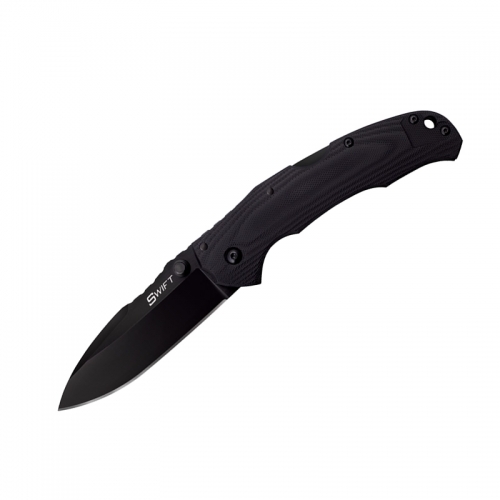 Rugged G-10 handle scales have been deeply jigged for an impressive grip and a tactical appearance. 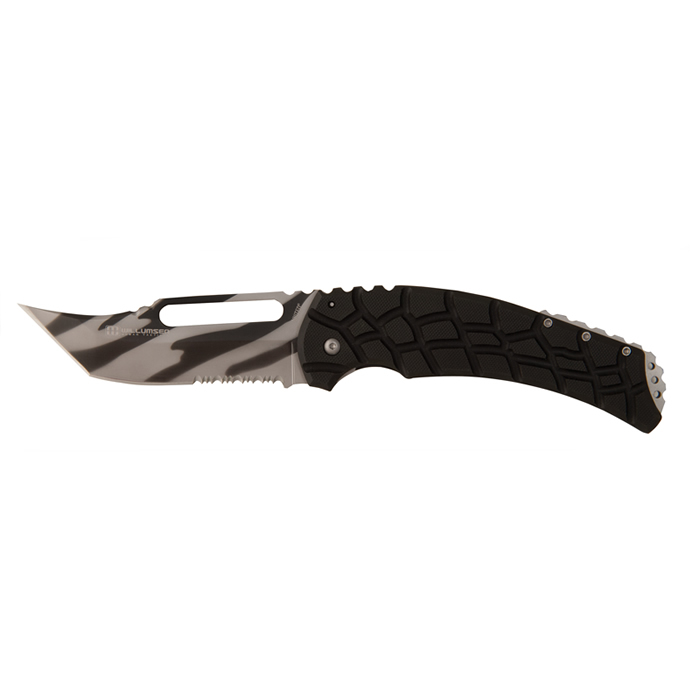 An aggressive-tanto-point, urban camo-coated 440C stainless steel blade with a serrated edge has been honed to a razor’s edge and its high-carbon content gives it an amazing edge retention quality. 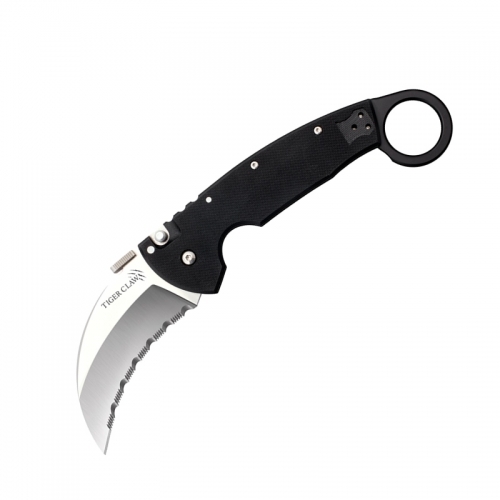 An oversized thumbhole allows for easy one-handed opening and a stainless steel pocket clip ensures your new knife will remain tight in your pocket or pack in transport. 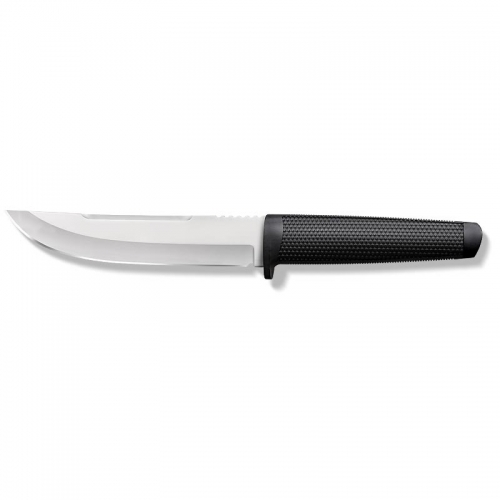 4 3/8” bl, 5 3/4″ cl, 10” ov.